Our 2019 sailing memberships are now available but going fast. Please contact us to confirm that we have space before completing your application. We are the social club with the sailing problem! Ever wish you had a place to go down by the bay, where you could enjoy evenings with your friends, and maybe learn to sail? We have just that! HBSC offers informal instruction every weekday evening starting around 5:30-6pm. When you join, simply pick a night that you wish to sail and then come down to the club on that evening. You will be paired up with an experienced skipper who will teach you everything you need to know to become a safe and competent sailor. Everyone learns at their own pace so lessons are planned according to your skill level. Once you become an experienced sailor you can achieve the status of skipper which gives you unlimited access to club facilities outside of regular sailing evenings and scheduled events. The social side of HBSC is very active with regular events where you can watch the sunset while enjoing a meal by the waterfront. We have weekly gatherings in the summer months and our social team hosts large monthly events featuring live bands, great food, and a fun atmosphere. 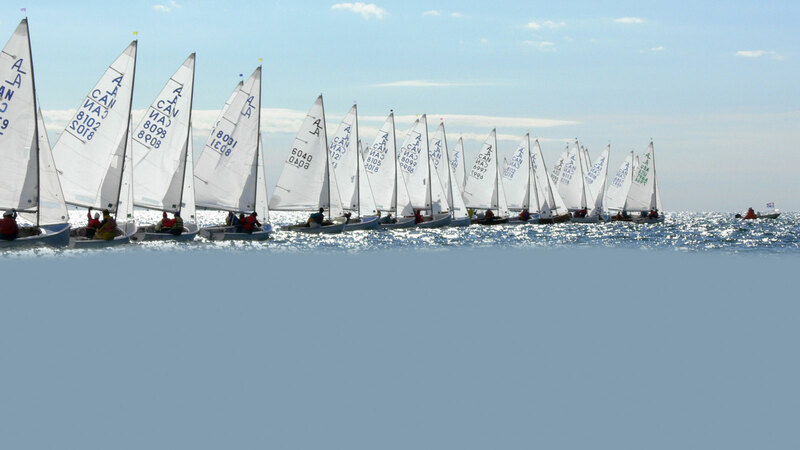 If you are looking for something on the competitive side or just want to hone your sailing skills, we have a racing program with many regattas held throughout the season. No experience is necessary to come racing, it’s just like your regular sailing night except with a purpose! Once you have decided to join, download the application using the link below. Fill in the details including the night you wish to sail, which type of boat you wish to sail on (see FAQ’s if undecided), and select what part of the club you wish to help out with. Once completed, print or scan your application and send/email it to the address noted on the application form along with your cheque payable to Hamilton Bay Sailing Club or email money transfer. The 2019 membership fees are $400 for a new full member and $40 for a social member (non sailing membership). Member information Sheet 2019 – Everything you ever wanted or needed to know about how the club runs.